These were so sought after when they came out, now sitting in the shop, I’m shocked. tbergs said: I'd love Vault #4, but $16.00 shipping makes it easy to pass on. I still have the digital version. Dude I’m almost in the same boat, I was around the same time too, I don’t anymore, or rarely. Too expensive. Even used records are a joke, I will wait for the fad to wear off. HesCalledDyer said: Sealed records are dumb, unless they are new in store. Why I wanted an opened one. Didn’t want to pay a premium for having the honour of opening it. I’ve never seen this before, but super cool. 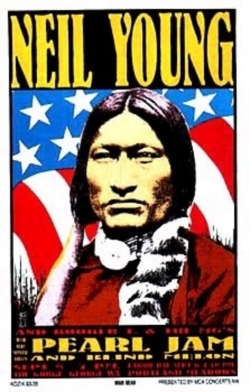 Is that the Neil young one?